Imagine finding the perfect neighborhood to raise a family or create long lasting friendships in a neighborhood with a community pool and park. Stop now. 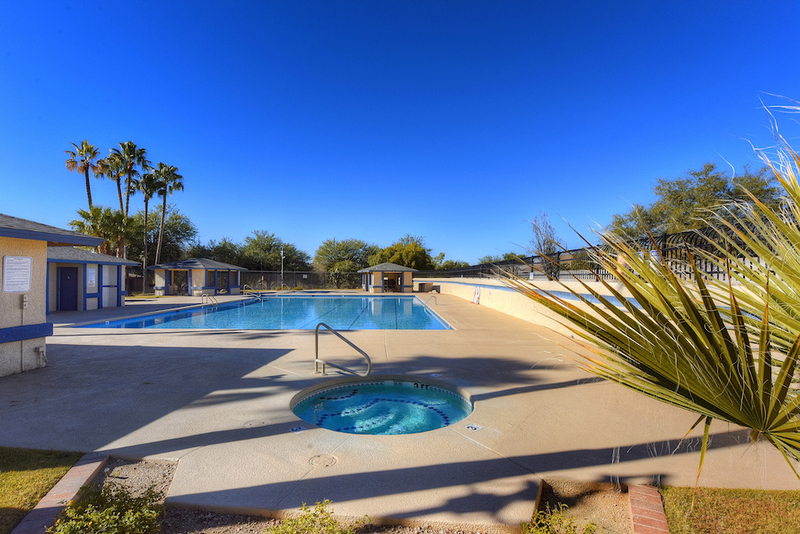 Sunset Pointe offers such a place to sit poolside and meet friendly neighbors. 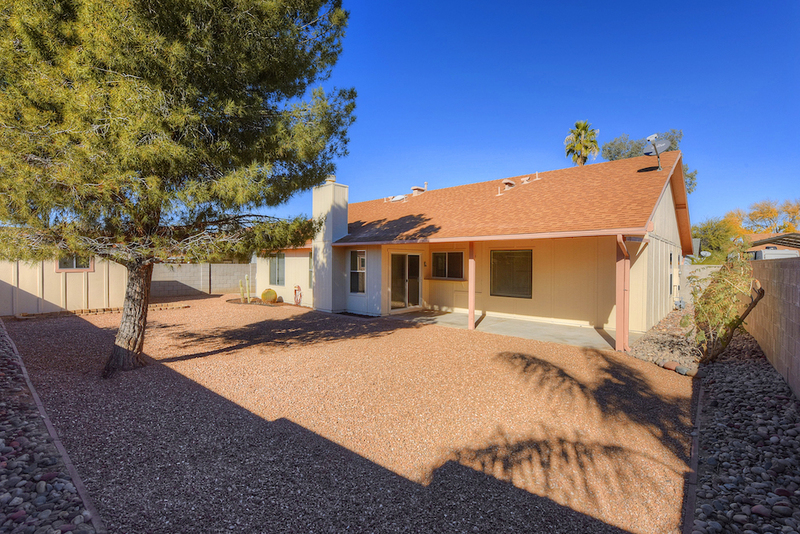 Bright and spacious three bedroom, two bath home in a great Northwest Tucson neighborhood with easy access to I-10, shopping, schools, and parks. Tidy, professionally updated landscaping, fresh exterior paint, and a custom wrought iron screen door at the entry will welcome you to this inviting, conveniently located home in the popular Sunset Pointe subdivision. A spacious 1,752 square foot split-bedroom floorplan offers flexibility that is perfect for a variety of needs – families, home office, multigenerational living, and more. Just off the front entry is a comfortable living room perfect for welcoming guests and entertaining. 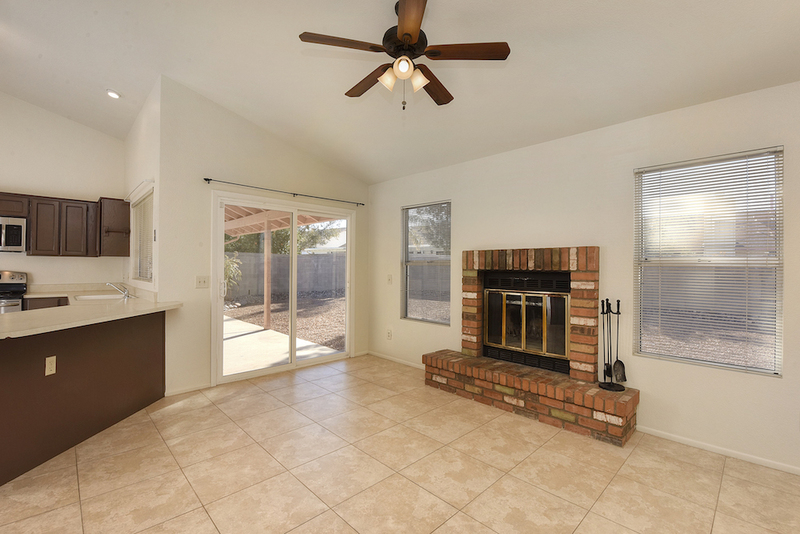 The large living room bay window offers plenty of natural lighting in the space, highlighted by vaulted ceilings and 18” ceramic tile flooring. The free-flowing floorplan also opens to a spacious kitchen and family room area. 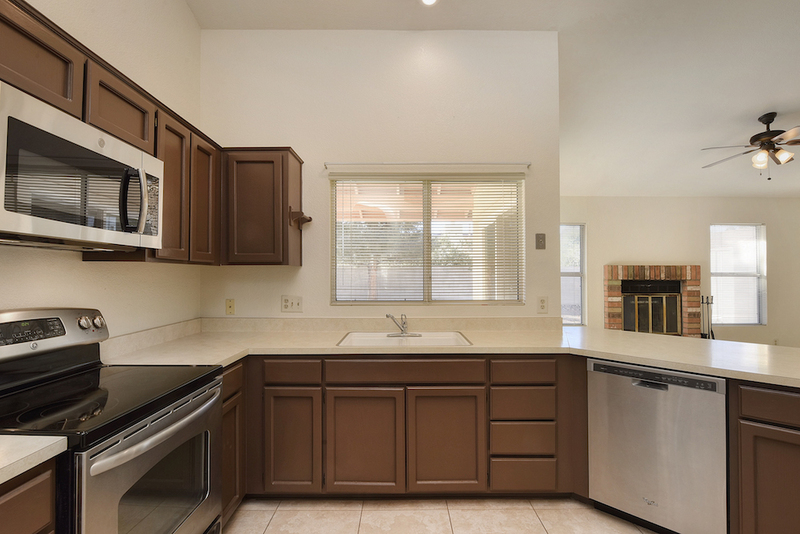 The bright kitchen offers lots of storage space, stainless steel appliances, and a large breakfast bar opening to the convenient family room with cozy fireplace – the perfect place to unwind after a long day! An oversized owner’s suite features a beautiful bay window, two more side windows, and vaulted ceilings, making the room bright and airy. New carpeting and fresh paint complete the room. The ensuite bath features a double vanity, walk-in closet, and a relaxing garden tub/shower with a large window allowing lots of natural light into the space. The two guest bedrooms also feature vaulted ceilings, large windows, and fresh paint. One guest bedroom is finished with laminate wood flooring, the other with new carpeting. A large, brick wall enclosed backyard is a clean slate for creating the yard of your dreams! A mature evergreen tree provides ample shade and a focal point for the yard. Surrounding landscaping is tidy and professionally updated, offering many options for adding more plantings and outdoor features. The large covered patio is ideal for outdoor living and gathering with family and friends. A large shed/workshop offers additional storage space and a side yard with extended concrete slab and double access gate, perfect for a play area, secondary patio entertaining area, a large spa, basketball court, trailer storage…the possibilities are endless! This great home is located in a popular, well-established neighborhood with a community park, ball fields, and community pool! 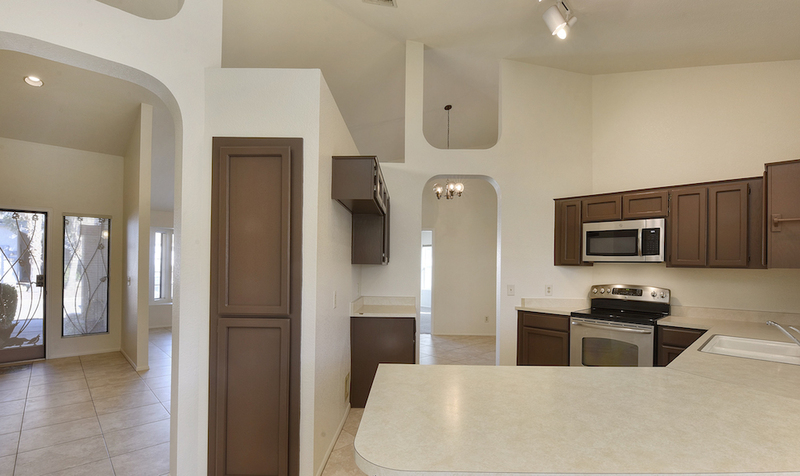 Sunset Pointe residents enjoy living in a convenient Northwest Tucson location, being in close proximity to popular schools, shopping centers, dining, easy access to I-10, and many more nearby conveniences. The Tucson Premium Outlets, Arizona Pavilions, and Foothills Mall are all also just minutes away – offering shopping, dining, and movie theaters. For golf enthusiasts, Crooked Tree public golf course and Omni Tucson National Golf are both located nearby. 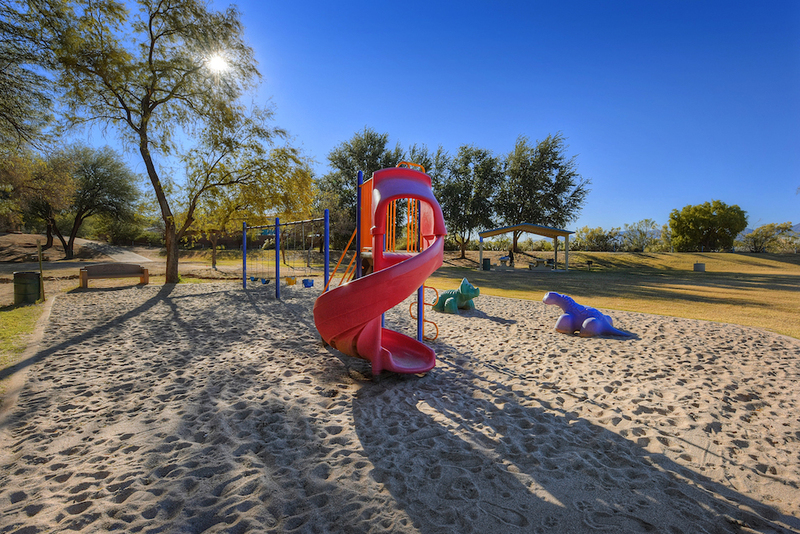 And in addition to Sunset Pointe’s community park, several other nearby parks are just a short drive away, including Arthur Pack Park that features a play area and ball fields, as well Crossroads at Silverbell park, offering play areas, ball fields, an enclosed dog park, and library! This home has a lot to offer – a great, move-in ready home in an established neighborhood, with many nearby conveniences!